LSG Sky Chiefs, the world’s largest provider of in-flight services, aims to provide quality food for the flying public. It has facilities worldwide, including a food preparation site in Egypt.As food safety and security are central priorities, LSG Sky Chiefs needed to monitor and supervise the catering process on a 24/7 basis. Loss prevention was also essential for stock and refrigerator management. The employee locker room and storehouse were locations that required close attention, as many losses and related events took place. 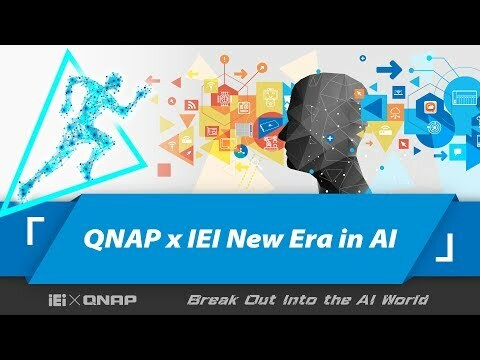 After careful consideration, an all-IP surveillance solution from QNAP® was selected. The installation process took a month to complete throughout the building. The surveillance solution needed to operate in arid climate conditions, including high temperatures in the day and cooler temperatures at night. Two QNAP NVRs were deployed at two separate food preparation areas. The first area featured the 32-channel NVR VS-8032, connected to 30 IR 1.3-megapixel cameras from VIVOTEK®. At the second area, the QNAP VS-2012 12-channel NVR supported eight PTZ network cameras and two fixed compact network cameras. This solution provided remote monitoring over mobile devices, enabling the management level to have real-time view of food preparation. Operators could also monitor inventory in the stock room and refrigerators, whether by day or at night. A clear view of the employee lockers also monitored activity in the area. The affordable network video solution benefited operations for LSG Sky Chiefs. Its management level was impressed with the quality of the live and recorded video. 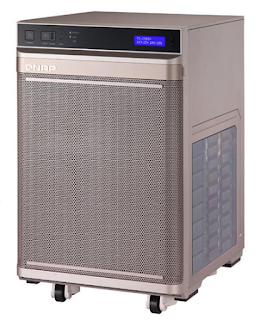 The QNAP NVR delivered stable performance, despite harsh environmental conditions. The network video solution provided security and operational benefits. Theft in the employee locker area dropped, after the installation of network video boosted security. The comprehensive video solution also improved business operations, keeping track of inventory activity in the storeroom and refrigerators. LSG Sky Chiefs upheld its commitment to food safety and security, with help from QNAP’s reliable surveillance and network storage solutions.